Amazon is on a mission to redefine the brick and mortar businesses that it disrupted out of existence. With its Amazon Go convenience store, Amazon is pioneering locations with no checkout lines. But innovators spawn imitators and an emerging startup thinks it can retrofit any store with its AI-powered item tracking system starting next year. AiFi has been developing its system under the radar since 2016. Its founders, Steve Gu and Ying Zheng, have previously worked for Apple and Google on big projects like 3D Touch and Google Glass. On Tuesday, they started promoting their work in an interview with TechCrunch and if what they say is true, the age of the cashier-free checkout will soon be upon us. 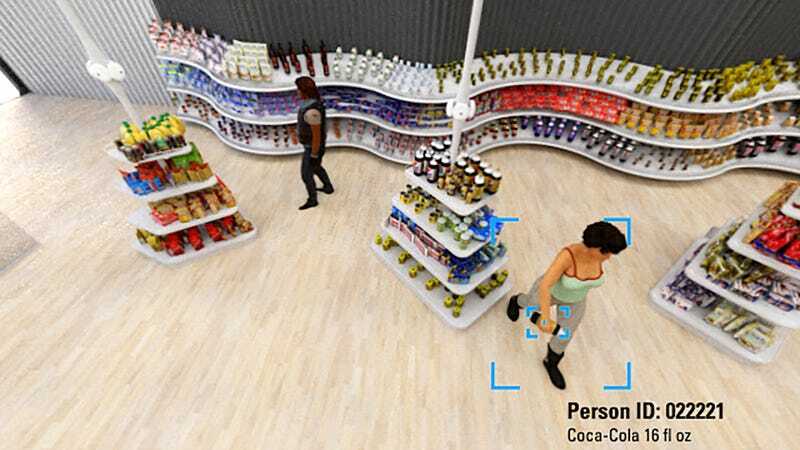 In a press release, Gu writes: “Our pilot will roll out in one very large store, orders of magnitude bigger than the Amazon Go store, at the end of this year, with many more large stores to follow so thousands of consumers will experience the delight of no longer standing in long and tedious checkout lines.” According to TechCrunch, an initial demo store will open in San Francisco, and an unnamed, “larger grocer” will try out the tech in New York next year. The company claims that retrofitting almost any store will be a relatively simple task. AiFi calls this business a “trillion-dollar opportunity” and that doesn’t exactly sound crazy. Almost 16 million people work in the retail industry—that’s a lot of payroll costs. And AiFi is looking to continually make money from its retail clients through subscriptions rather than hardware sales, which raises the question of who will have access to all that data that AiFi plans to use for personalized shopping. We asked a spokesperson for the company if it will share that data with its clients, if it’ll be anonymous, and if it will be sold to third-parties but the company did not immediately respond. As far as the human cost this could have by eliminating job opportunities, Gu is taking the sunny outlook that the AI community loves to tout, telling TechCrunch that the system will just handle “the tedious part of the job” and free up “human labor to do something that’s emotionally more engaging or more creative.” God knows retail behemoths spend a lot of time fretting that they don’t have the budgets to hire low-wage workers for emotionally engaging and creative tasks. I have to say that I’m a little skeptical about Gu’s grand claims and timetable. The company is still young and has only raised $4 million. Of course, today’s press push is surely designed to act as a coming out ceremony that may bring in more cash. A company as big as Amazon has struggled to perfect its system and, for now, it’s just tolerating some of the shoplifting that slips by. If AiFi is really on the brink of doing something that’s comparable or better than Amazon’s system, retailers will likely line-up to compete with their arch-enemy and roll-out the store of the future. Have fun being followed by personalized ads and never having to interact with a stranger again.